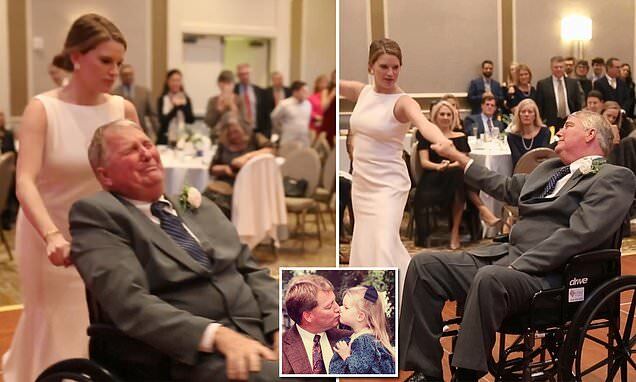 On December 29, their wish came true when Mary Bourne (now Mrs. James Butts) led her wheelchair-bound father to the dance floor for a beautiful father-daughter wedding dance. What made is even more special for the two was the fact that in May 2017, Jim was diagnosed with glioblastoma, a fast-growing and incurable form of brain cancer. He wasn't sure he would be alive by the wedding date - but on December 29, family and friends were left with tears in their eyes when they saw their dance.